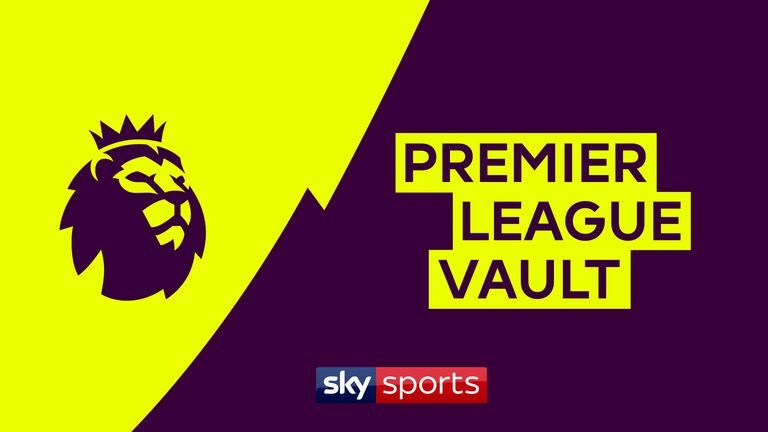 The Soccer Saturday team give their lowdown ahead of Liverpool's vital game with Chelsea, live on Sky Sports this Sunday. The league leaders take on only one of their top-six rivals during The Run In as they look to overcome Manchester City in their pursuit for Premier League glory. 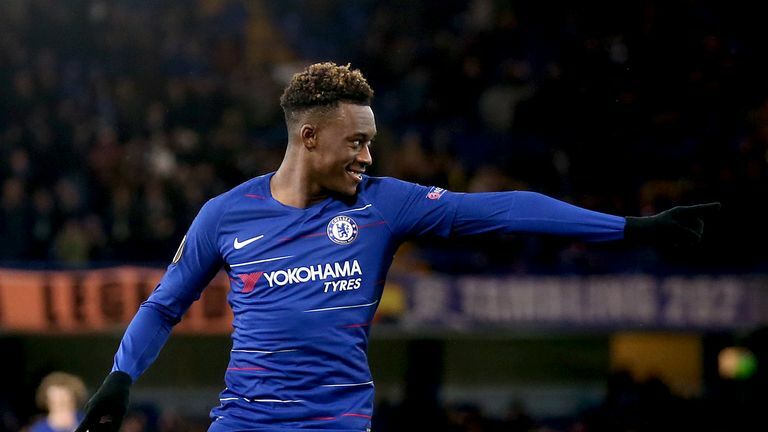 But that comes in the shape of a revitalised Chelsea, buoyed from back-to-back wins and the long-awaited introduction of Callum Hudson-Odoi from the start, with England's latest emerging talent named in both of Maurizio Sarri's last two Premier League line-ups. The Reds moved back top of the tree with a 3-1 win at Southampton last weekend, albeit after playing a game more than City, and Gary Neville and Jamie Carragher's assessment of the title race predicted it would go down to the wire - but who did they back to lift the trophy? Check out our essential reading on how Jordan Henderson convinced Jurgen Klopp to give him a new role in Liverpool's line-up, who could be joining the Reds this summer and Eden Hazard's admiration for Maurizio Sarri here ahead of kick-off on Sunday. How do Liverpool stop Eden Hazard? Phil Thompson: Liverpool won't put any particular measures in place to man-mark him but they do not want him to turn and get at you because he is so difficult to stop. They need him to stop with the ball, and most naturally keep your eye on the ball rather than the man when defending. They need to get Hazard still and get him to pass the ball negatively, so by that I mean get him to pass it square and backwards rather than threading it through. Charlie Nicholas: I think this is the difficult part. Everybody will be looking at this game. The flashbacks will happen, as Liverpool have struggled before against Chelsea. Chelsea have to go after it for the top four. Are they that fussed for it? I think Sarri is, he wants to do as much as he can. Hazard just goes out and plays. Liverpool's way forward is to attack and get their full-backs high up. Alexander-Arnold may struggle against Hazard. The last time they met Hazard scored and Chelsea won in the Carabao Cup. I don't know how they will stop him. The question is which defence turns up for Chelsea? Will Alonso start? Which David Luiz will turn up? I know it will be different to the Tottenham match, as they went and attacked whereas Chelsea will sit back for first 30. Matt Le Tissier: This is a very good question. If Hazard is in the mood, like he was against West Ham, then it is incredibly difficult to stop him. They have one of the best defenders in the Premier League in Virgil van Dijk trying to do that but on his day he can be unplayable no matter whichever defender you are. Hazard came on as substitute and scored a wonderful goal at Anfield to knock them out of the cup. That goal alone would be enough to frighten the defence. How can Chelsea win at Anfield? Phil Thompson: The key for Chelsea will be to stay in the game for as long as they can. Chelsea are part of the 'big six' and will come to Anfield at this time with a hope of a Champions League spot. A draw for them at Anfield would go down as a good result. Whether they could do that and hold out for as long as they can is another thing. For any away team going to Anfield it is tough but for Chelsea a draw would be a good result in terms of a Champions League place. Charlie Nicholas: I think Chelsea can compete in midfield. Will they pick Loftus-Cheek and Hudson Odoi? If it was me I would keep them in the team. There were times when Loftus-Cheek was quiet but I would keep him in. Higuain is not as sharp as he could be but he is always gunning for chances. You want to pin the full-backs deep, like Everton did, so they cannot get their crosses in. If they get high up then Chelsea will make mistakes. Hudson Odoi playing against Robertson and Hazard up against Alexander-Arnold will be pivotal for the outcome. Matt Le Tissier: Most importantly, the thing is to try and keep them at bay during the first 20 to 25 minutes. The longer you can go through the game keeping it level, the more the nerves will start to kick in and that is how Chelsea can win the game, by nicking a goal later on. How much would a win have Liverpool believing? Phil Thompson: The mood will be unbelievable. Even with the Southampton game you saw how much it meant. Every game is huge and is a Cup final - you have to treat it as such. The last big game is against Chelsea, so the Kop will be up for it and then we have three home games and two away that follow so we will always have that on our side. Chelsea have had a good record at Anfield in the past so we will need to make sure we change that. Charlie Nicholas: I tipped Liverpool to drop points against Tottenham, where they scored in stoppage time, and then they scored a couple of late goals against Southampton, so I was nearly right with my predictions. If Liverpool win this game I think they will win their remaining games. The type of games Man City have to play means they have got the hardest run-in from my perspective. As it stands now I am still picking Man City, but if Liverpool beat Chelsea then they have a slight advantage, and I think there are more mistakes to come from Man City in that time. These two going after the title has been fantastic and great to watch. Matt Le Tissier: If they were to pick up the three points here, I think they would become favourites for the title, which they have not been for a while. With Man City's remaining fixtures, it will be hard for City to win them all. With the two games to come, Liverpool will fancy their chances if they take the points in this one. Phil Thompson: Liverpool will win 3-1. Charlie Nicholas: If Liverpool play like they can, they will win. There is a mistake in Luiz and they will stay with Emerson at left-back I think. If Liverpool go and score in the first 15 or 20 minutes they will win comfortably. Hazard will eventually get in the game so it is all about the first 15 or 20. Chelsea can be very dangerous when they counter-attack. Liverpool have got to have the edge and the front three may be too much for Rudiger and Luiz. Sarri never goes with a back three, it is always a back four - there are too many mistakes in Chelsea for me. 2-1 Liverpool. Matt Le Tissier: I have got a feeling that Liverpool might just nick it. Liverpool to win 2-1.